Part of B&A’s success in greatly because of Dennis strong work ethic and the next Bogan generation, DENNIS “Sean” Bogan. 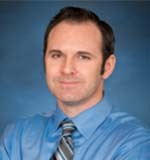 From 1999-2004, Sean worked for one of the top five merit shops in California and rose quickly throughout the company. He equates his hard work, dedication and the experiences of worked all the positions within the field to the company’s success today. When he returned from California took an active role as Bogan & Associates’ newest Chief Operating Officer and continues to lead the company’s success. Additionally, Sean has a strong commitment to the training and education of the current work force and developing the skilled workforce to meet future needs.